When a body turns up at the Cottages, Madison and Fab are on the case. But when the killer makes a habit of discarding bodies on Madison’s property… it’s personal. While on the hunt for the killer, the duo track down a double-crossing bail jumper, repossess a Lamborghini, and Madison lands her first case. As more bodies pop up, the cops are eager to name a suspect. When a close friend is arrested as the prime suspect, Madison and Fab will stop at nothing to prove her innocence, but will they be too late? 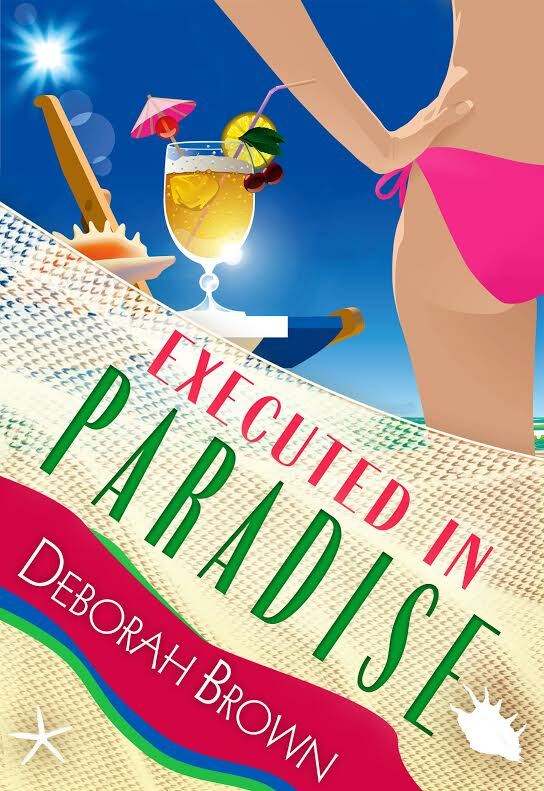 Executed in Paradise, the ninth book in the scorching Paradise series about best friends who maintain the peace in the paradise of Tarpon Cove through unconventional ­– and highly entertaining – measures. 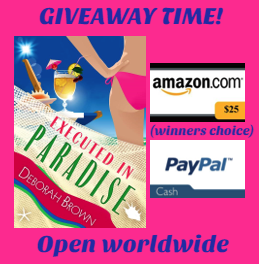 Deborah Brown has once again provided a comedy and a mystery with a little romance thrown in with Executed in Paradise. 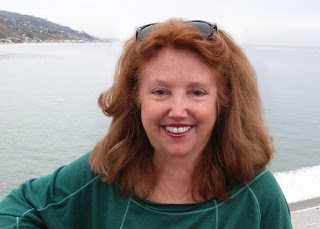 Set in Tarpon Cove in the Keys of Florida, the book has me wanted to be an island girl which is hard for this mountain girl to admit. Madison and Fab are led on some chases in this novel that has them trying to find who really is murdering people and dumping the bodies on Madison’s property. They manage to work other cases in between trying to be sure they prove their friend innocent. Of course, their manfriends – that would be boyfriends if they were teenagers but even at their age, I have trouble labeling these men as boys – are not happy about their involvement in their cases or in trying to prove their friend innocent of murder. Brown keeps the book nice and light, despite multiple murders and other mysteries, as is befitting an island book. While it is the ninth in the series, I have only read one or two others. It reads great as a standalone. I highly recommend you add this book to your summer read list. I’m sure it will read so well on the beach. Previous Post Come Visit Asheville!